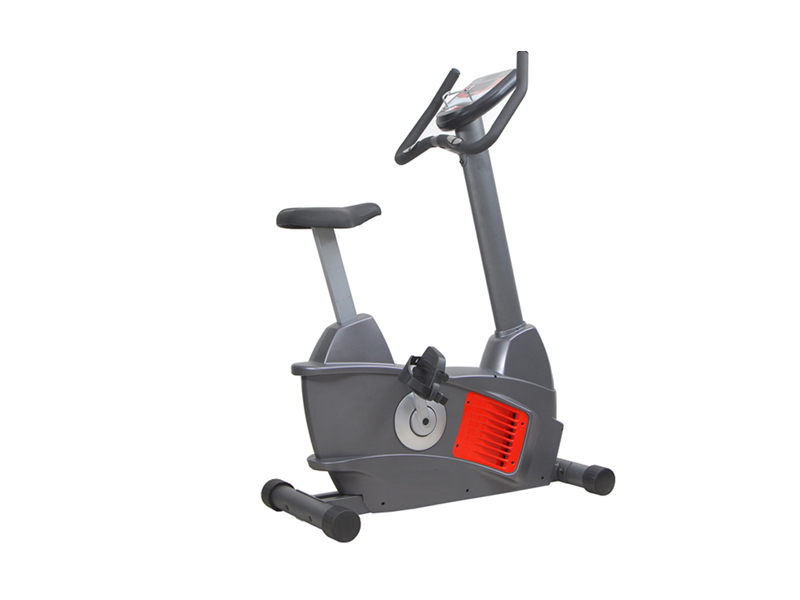 SunSai Fitness We are leading Fitness Equipment Importer and Manufacturers of Commercial Cardio Fitness Equipment in India. 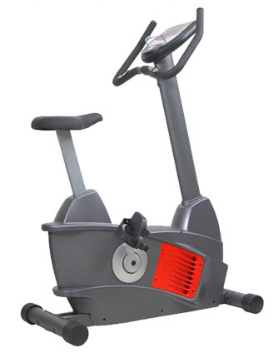 We have wide range of Cardio Fitness Equipment include Motorized Treadmill, Recumbent Bike, Upright Bike, Treadmill, Exercise Cycle, Elliptical, Cross Trainer and many more. Model No. 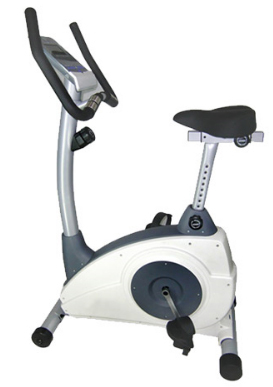 FUB 5000 Upright Bike . Dimension : 52” (L) X 24” (W) X 58” (H). Programs: 06 programs - HRC, Goal, Watt, P1 &P2, and Test. Fly wheel: 20 Kg, Precision Balanced. Pulley: Aluminum pulley. Drive system: Centre design drive, super silent poly-V belt driven. Crank assembly: 3 pieces crank assembly. Cardio Monitor: In built hand grip pulse sensor provided with handle grips enables to the cardio monitoring on board. Display: LCD with blue back light scrolling text, computerized console. Display Feedback: Multi feedback read out instantly displays time, distance, RPM, Calories, heart rate, Resistance level, and watt. Speaker: Built in speaker for iPod & MP3 connectivity. Fan: Fresh air fan inbuilt with console. 19. Transportation: Transportation wheel for easy movement. Accessory Holder: Water bottle, Mobile phone holder & Book holder on the upper case of consol. MODEL N0. 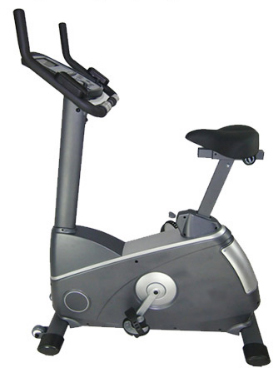 FUB5200 Semi Commercial Upright Bike . Resistance level : 8 Levels. Power: Self Generated power system. Programs: 08 programs – 1 Manual, 1 constant Watt, 1 Interval, 1 Hills, 1 plateau, 1 mountain, 1 HRC, 1 Fitness test. Fly wheel: 9 Kg, Precision Balanced. Drive system : Centre design drive, super silent poly-V belt driven. Pedals: Self Balanced extra wide paddles with adjustable straps fit to any size user. Close spacing, & shock absorbing air cushion, provides gentle movements. Seat: Ergonomically designed comfortable seat with flex cushion with 13 levels seat adjustment. Centre of Gravity: Low COG combined with a balanced frame prevents rocking. Cardio Monitor: In built hand grip pulse sensor provided with handle grips enables to the cardio monitoring on board. 14. Display: Dot matrix large LED scrolling text, computerized console. Accessory Holder: Book holder on the upper case of consol. Frame Structure: Extra sturdy and stable steel frame construction. Frame Finishing: Proprietary two coat powder process. Model No. 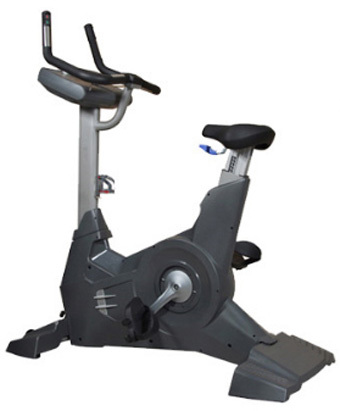 FUB5200 Semi Commercial upright Bike . Resistance System : Electro-Magnetic resistance. Programs : 21 programs, 12 Preset, 1 Manual, 1 HRC, 1 Watt, 1 Personal, 1 Body Fat & 1 to 4 User. Fly wheel : 9 Kg, Precision Balanced. Pedals : Self Balanced extra wide paddles with adjustable straps fit to any size user. close spacing & shock absorbing air cushion, provides gentle movements. Seat : Ergonomically designed comfortable seat with flex cushion with 10 levels seat adjustment. Handle Bars : U-Bar Style with ergonomically elbow support pad and in built Contact Heart Rate sensor with hand grips. Centre of Gravity : Low COG combined with a balanced frame prevents rocking. Cardio Monitor : In built hand grip pulse sensor provided with handle grips enables to the cardio monitoring on board. Display : LCD with blue back light scrolling text, computerized console. Display Feedback : Multi feedback read out Instantly displays time, distance, RPM, Calories Pulse, speed, time, Calories, resistance level, Watt, Personal, Program, Manual. User Weight : 120 kgs. Transportation : Transportation wheel for easy movement. Accessory Holder : Book holder on the upper case of consol. Crank assembly : 3 pieces crank assembly. 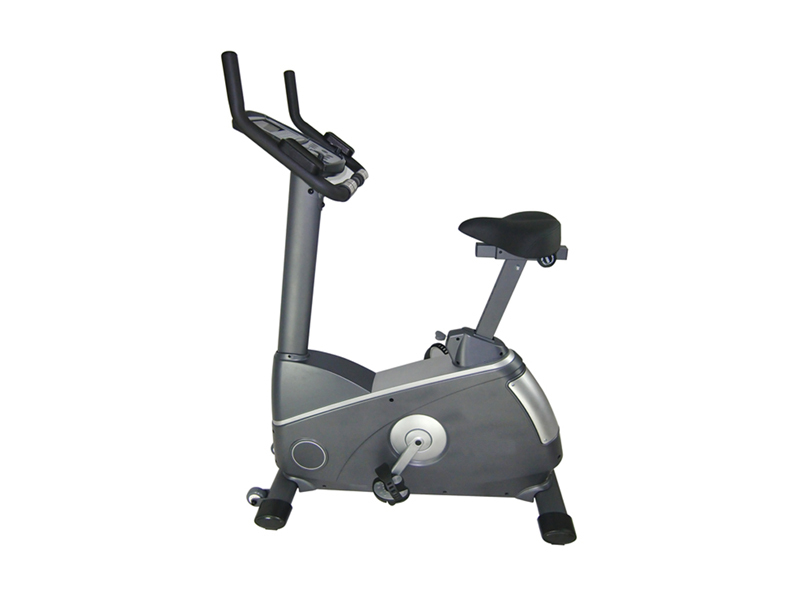 Frame Structure : Extra sturdy and stable steel frame construction. Frame Finishing : Proprietary two coat powder process. Rust proof : All frame structures electro statically powder coated to ensure maximum corrosion and chip resistance. Model No. 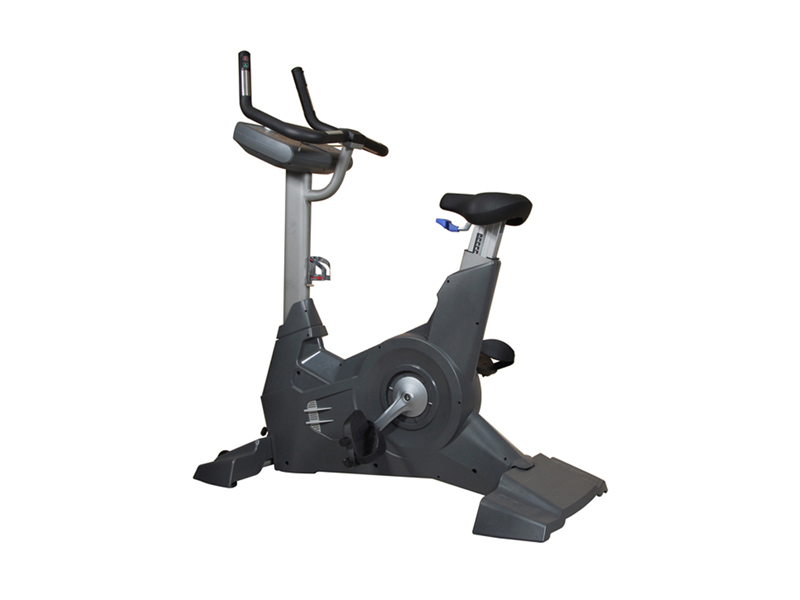 FUB5300 Semi Commercial upright Bike . Resistance System : Friction free magnetic resistance. Programs : 10 Programs – 9 preset & 1 body fat. Pedals : Self Balanced extra wide paddles with adjustable straps fit to any size user close spacing & shock absorbing air cushion, provides gentle movements. Seat : Ergonomically designed comfortable seat with flex cushion with 13 levels height Adjustment and front & back slide adjustment. Handle Bars : U-Bar Style with ergonomically elbow support and in built Contact Heart Rate sensor with hand grips. Cardio Monitor : In built hand grip pulse sensor provided with handle grips enables to the cardio monitoring on board. Display : LCD display with computerized console. 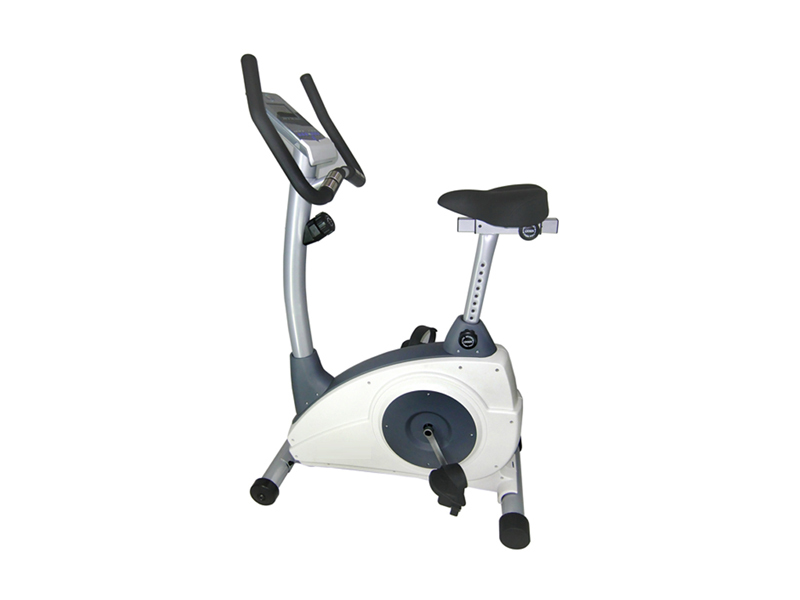 Frame Structure : Extra sturdy and stable steel frame construction/Arched Support frame for maximum durability & stability. All rights Reserved by : Sunsai sports & fitness By : Elves Technology (I) Pvt. Ltd.